So I just upgraded to a dual extruder setup, and the thermistors on my printer all read correctly. 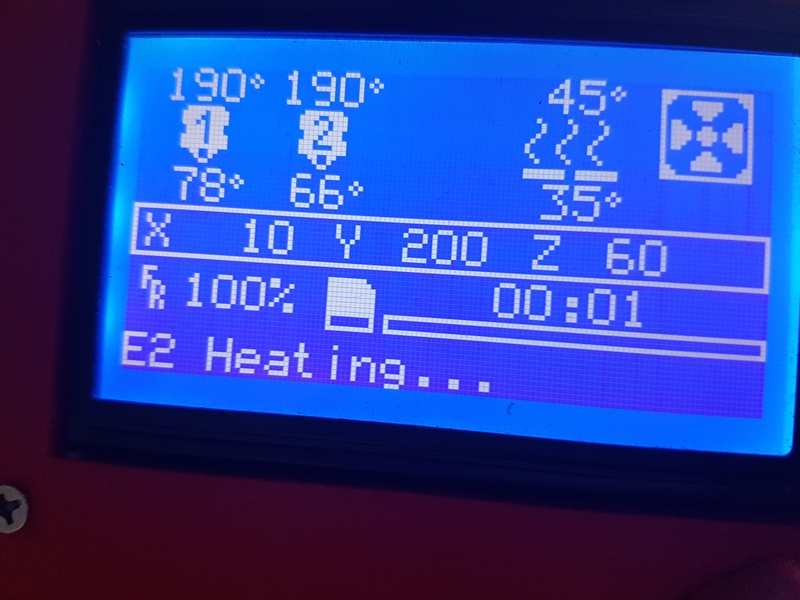 I have 2 extruders entered in repetier, but only one hotend appears in the 'quick settings' at the top of the page, and when I ran the heat up/ cool down wizard, the temperature was the same for both hotends, but the printer read two different temperatures. I think that repetier is reading one thermistor for both hotends. I don't know if I have something misconfigured or what, but it's not working correctly. On the RAMPS 1.4 I have the thermistors plugged in like so: Hotend 1, Bed, Hotend 2. It reads the bed correctly too. The quick settings at top show only the currently active extruder. 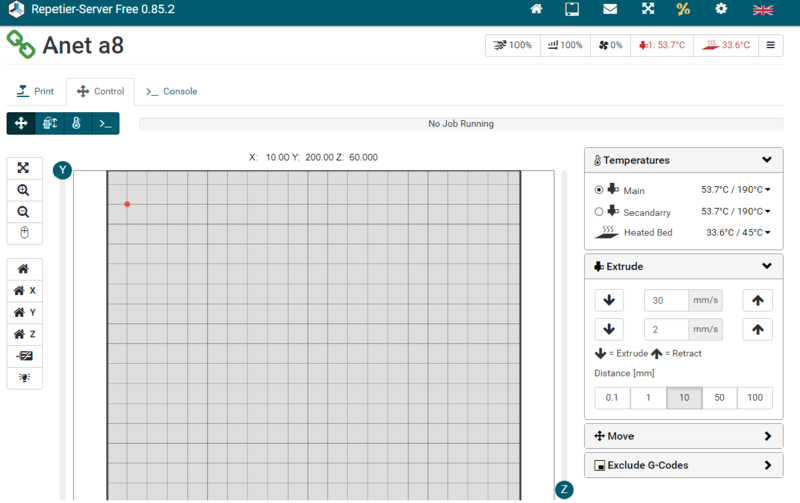 If you go to control tab you should see both extruders with temperatures in the right sidebar and when you click the temperature tab in control you must be able to see all extruders if selected to show all. You need ack enabled to see the response. or should look like that. If firmware does not send both temperatures, server can not know. Provide an example so we can better analyse. And I get separate readings. But maybe we are talking about different places. On which page do you see them identical? Can you make a screenshot? Also are you using 0.86.0 or older version? Sorry for the late reply, but I couldn't earlier. O you can see, that they are not the same temperature. The hotends are identical. You could try upgrading to 0.86.2 which is a good idea to protect your configs due to a bug.